(TibetanReview.net, Nov09, 2016) – Tibet’s exiled spiritual leader, the Dalai Lama, is visiting Japan from Nov 9 to 26 to hold a religious dialogue, give religious teachings, and deliver public talks besides carrying out other engagements, including with youths and students. He begins his schedules with a dialogue with the chief priest Otani Choujyun of the Honganji Temple in Tokyo on Nov 9 on the theme of ‘Essence of Buddhist Teaching’. The temple is the centre of the Shin (Authentic) Buddhism founded by the Japanese monk Shinran some 800 years ago. Over the following days he will give a series of religious teachings. He will also visit schools and a university to speak on themes such as “The Mission of Buddhists in the 21st Century”, “Compassion – The Key to Happiness” and “Medical Progress and Warm Heart”. 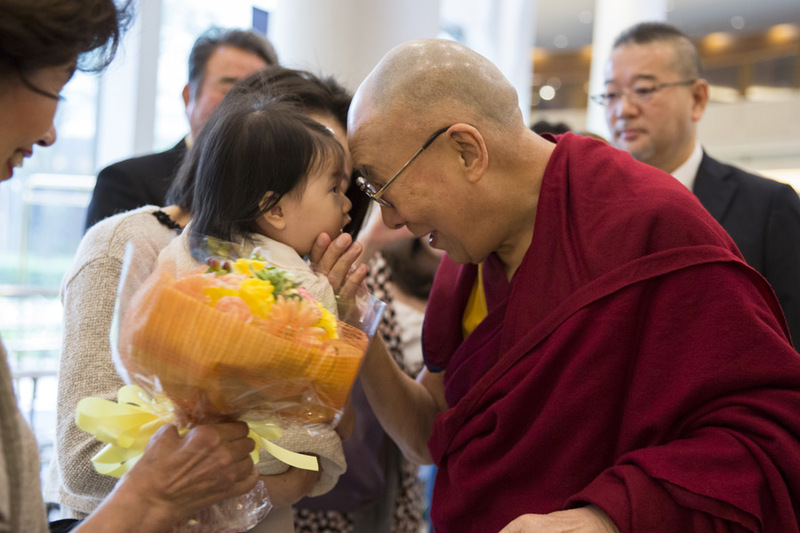 Earlier, speaking to the media at Tokyo’s Narita airport, the Dalai Lama expressed interest to meet with young people who he said had the responsibility to make the world a peaceful place to live in. He emphasized the importance of developing inner values, saying material development alone could not bring inner happiness. This is the Dalai Lama’s 23rd visit to Japan since 1967.